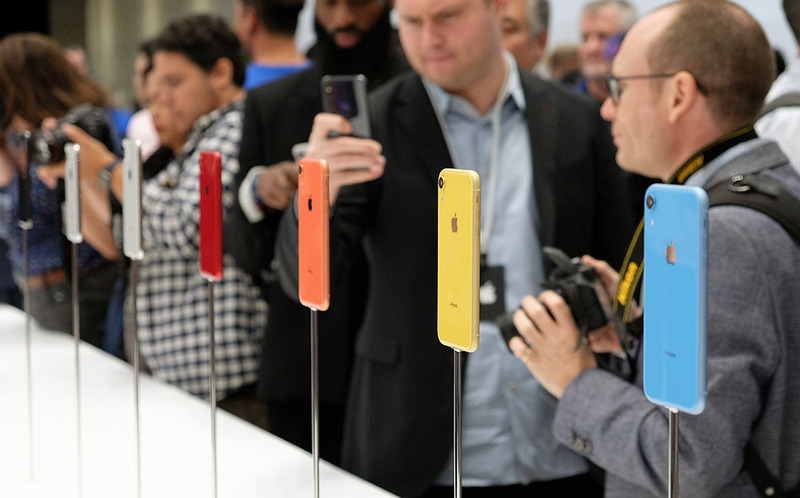 The Apple iPhone XR is the third iPhone to be launched this year, after the iPhone XS and XS Max. 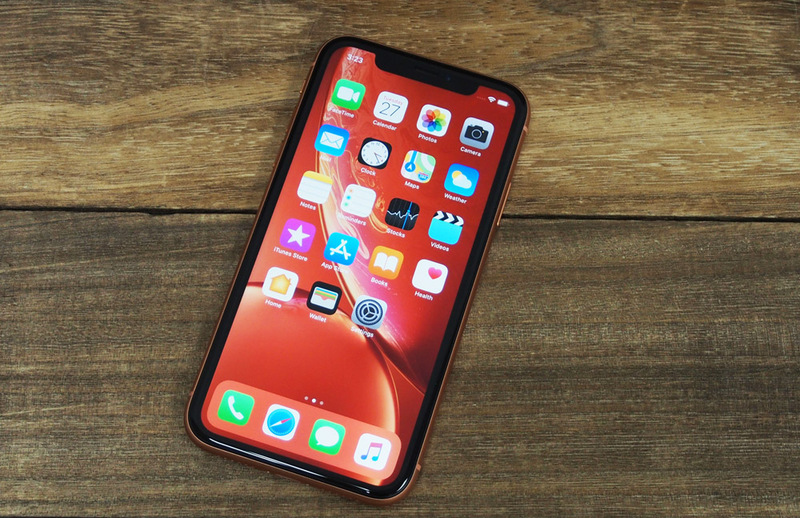 The XR can be seen as Apple’s ‘budget’ model – although I use that word hesitantly as the cheapest XR still costs S$1,229 – with a similar design, features and much of the same experience as the iPhone XS, but at a starting price that’s S$420 cheaper. What do you give up for that lower price? The XR has a lower resolution LCD display with bigger bezels around it and it doesn’t support 3D Touch. It’s slightly thicker and heavier and it’s made of aluminum instead of stainless steel, and it only has one camera on the back. But other than that it’s pretty similar to the XS. It’s got the same full-screen design with the same notch and TrueDepth camera and Face ID system, the same powerful A12 Bionic processor, and the single camera on the back is the same as the wide-angle 12-megapixel camera on the back of the XS and XS Max. The core design of the XR is pretty much the same as the XS and XS Max. The frame isn’t as shiny because it’s matte aluminum instead of stainless steel, but the back is still glass and the front bezel is still black, no matter what color you get. If you’re considering one of the more colorful options, the Project Red model looks absolutely gorgeous with its deep, blood red color, while Coral is probably the most interesting, with its unique pink-orange hue. Like the XS and XS Max, the XR has glass on both the front and rear. It’s worth noting that for the XS and XS Max, Apple claims that the glass on both the front and rear is the most durable ever used on a smartphone, whereas for the XR, Apple only claims that it has the most durable front glass, so clearly, the back glass isn’t quite as durable. 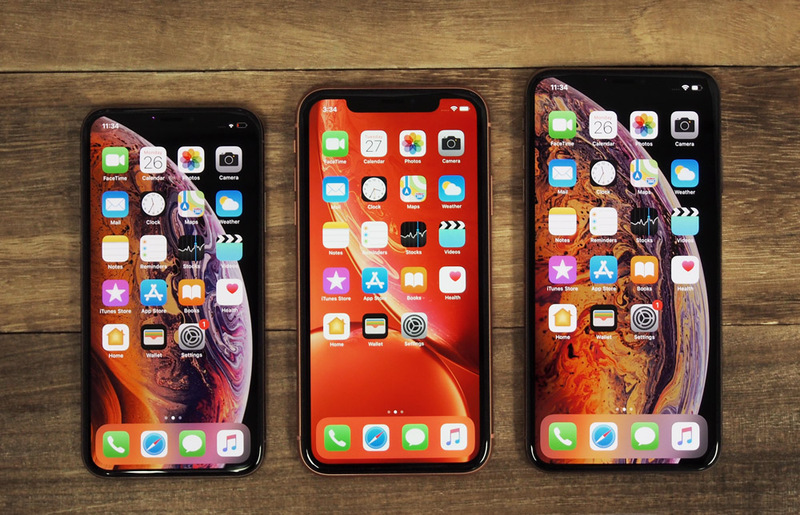 Size-wise, the XR sits right between the XS and XS Max. It’s actually a great size, and to me, the 6.1-inch display feels the best out of the three phones. The XR is slightly thicker than both the XS and XS Max, but it’s not that noticeable, and it doesn’t feel unwieldy. On the back, there’s a single rear camera instead of the dual camera setup of the XS and XS Max. The camera bump is quite large, but this is something that’s become typical of all iPhones. A nice touch is that the ring surrounding the camera is the same color as the frame of the phone. One other difference worth noting is that the extra antenna lines on the bottom and top of the iPhone XS and XS Max aren’t there on the XR. This is because the XS and XS Max both support 4G LTE up to Cat 16 (1024Mbps), while the XR only supports it up to Cat 12 (600Mbps), the same as last year’s iPhone X. Finally, the XR is only IP67-rated for dust and water resistance. This means it’s not as water-resistant as the XS and XS Max and can only be submerged underwater up to a depth of 1m instead of 2m. I can’t imagine this actually being a deal breaker for anyone, but it’s something to take note of anyway. Overall, while the XR isn’t as nice or polished (literally) as the XS or XS Max, there’s nothing cheap-feeling or inferior about it, and it looks and feels just as premium as any other flagship smartphone out there. 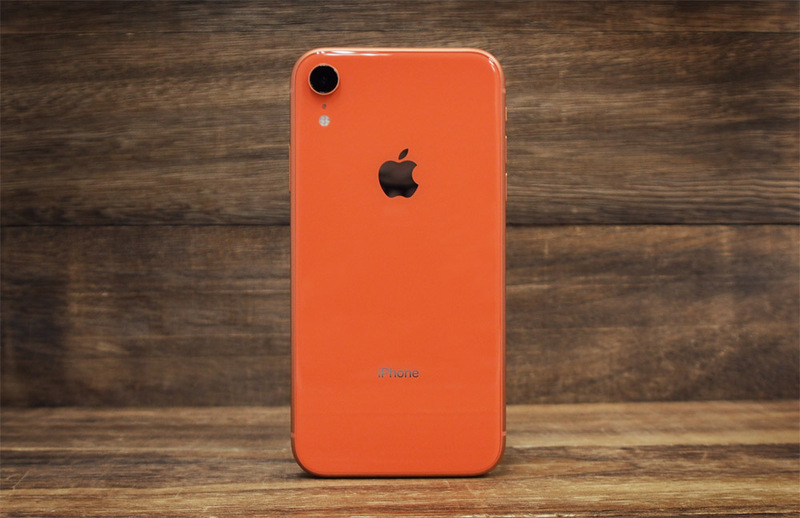 The iPhone XR has a 6.1-inch, IPS “Liquid Retina Display” with a 1,792 x 828 pixels resolution (326ppi). This is exactly the same pixel density as the iPhone 8, but less than the iPhone 8 Plus (401ppi), iPhone X, XS and XS Max (458ppi). 326ppi was perfectly acceptable on smaller 4.7-inch iPhones, but is a little low for a screen this big. Compared to the iPhone XS, there’s a slight but noticeable drop in clarity. You won’t really notice this in everyday usage (unless you routinely use a magnifying glass to inspect your screen), but a Full HD resolution equivalent display would have been nice. The XR display also has noticeably thicker bezels around the screen compared to the XS and XS Max. This is presumably because of the extra backlight required for the LCD. 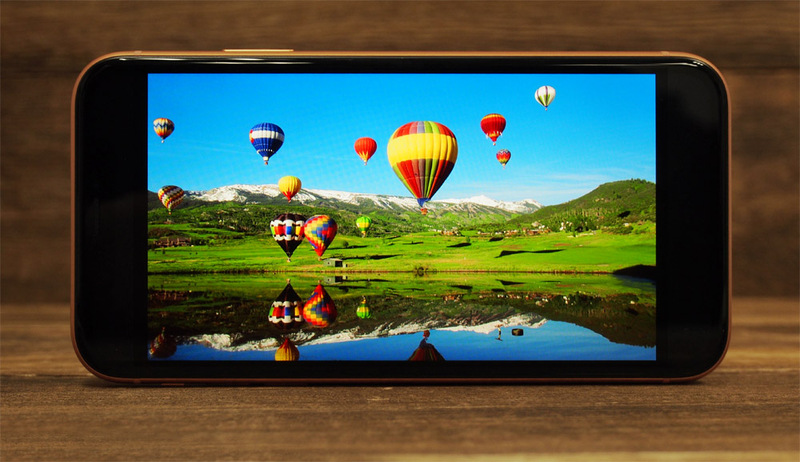 Having said that, the bezels are still thinner than many other smartphones, including those with OLED displays. The XR display also lacks Dolby Vision and HDR10 support, as well as Apple’s 3D Touch feature. I know not everyone uses 3D Touch, but if you’ve become accustomed to it, it’s quite annoying to use an iPhone without it. Despite these drawbacks, the display itself is still remarkably good. It’s bright, going up to 700nits at maximum, which makes it easy to view even under bright sunlight, and the contrast is also surprisingly good for an LCD display. 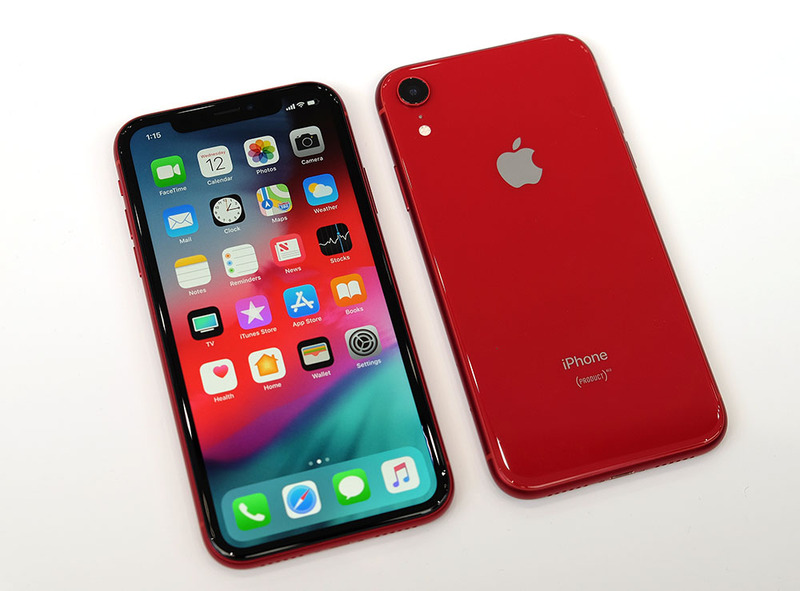 Colors are vivid without looking over-saturated, and as with Apple’s other iPhone displays, the display supports DCI-P3 wide color and Apple’s True Tone technology that adjusts the color temperature based on ambient lighting. The XR has the same improved stereo speakers you’ll find on the XS and XS Max. These speakers are louder than last year, and also offer a wider stereo soundstage. Audio quality is excellent and there’s no distortion even with the speaker at max volume. 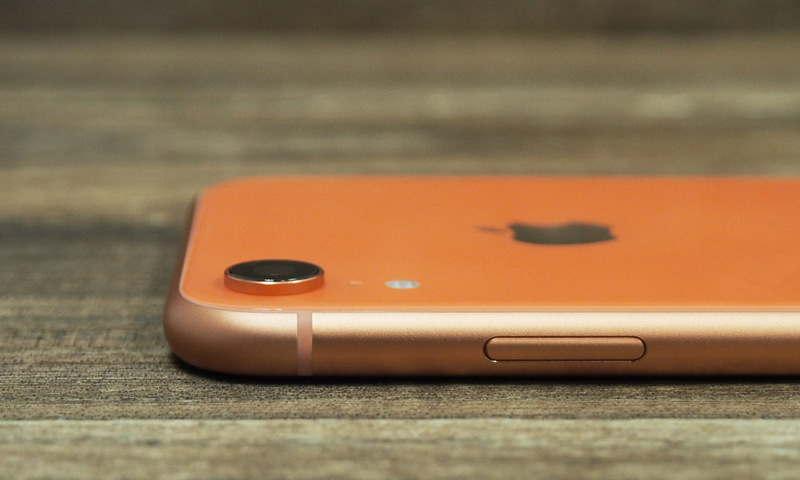 Like the XS and XS Max, the iPhone XR does not come supplied with a Lightning-to-3.5mm dongle. You still get the Lightning connector EarPods, but you’ll have to buy the dongle for S$15 if you want to use your own headphones. The XR runs on iOS 12 and provides exactly the same UI experience as the XS and XS Max, except for the aforementioned lack of 3D Touch. One nice touch is that the default wallpaper is color-matched to the color of your phone. If you prefer something with a little more contrast, all of the other colors are also available in the wallpaper gallery. 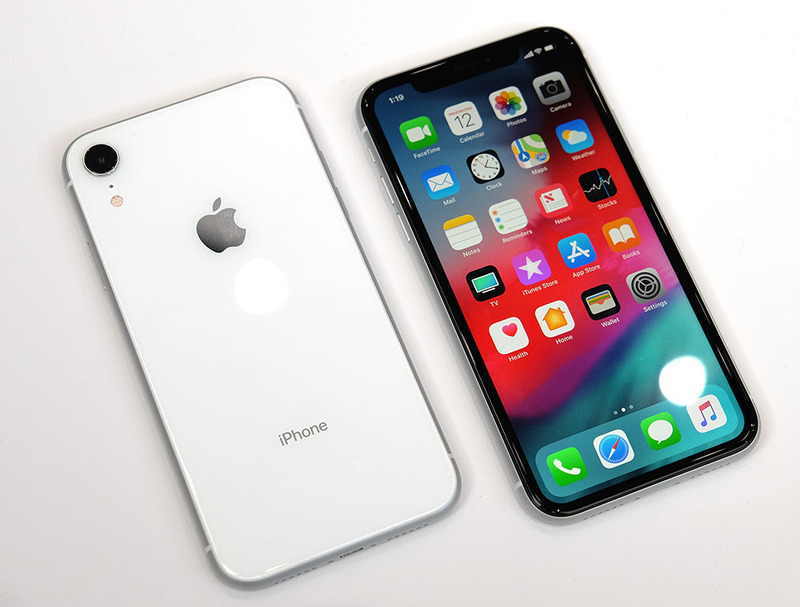 I suspect for many people, the XR will be their first upgrade to an X-style iPhone, so I’ll give a quick rundown of what’s new compared to older iPhones like the iPhone 8. The main difference between X-style iPhones and older iPhones with Home buttons is the new swipe-based navigation system. On any screen other than the home page you’ll see a white line called the Home Bar. If you swipe up from this line, you’ll go back to the home page. Swiping left or right along the line will switch between apps. To open the Control Center, you need to swipe down from the area to the right of the notch. To open the Notifications pane you swipe down from the top left. To launch the app switcher you swipe up from the bottom of the screen and then long press the screen. To activate Reachability mode, which pulls the top of the screen down to make one-handed usage easier, you have to swipe down on the bottom edge of the display. While this all sounds quite complicated at first, it becomes second nature fairly quickly. 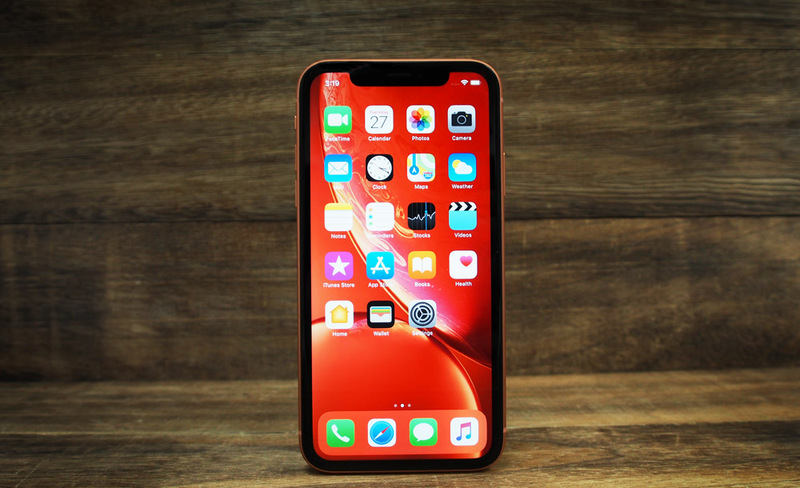 For a full rundown of everything else new in iOS 12, check out my iPhone XS and XS Max review and this article. 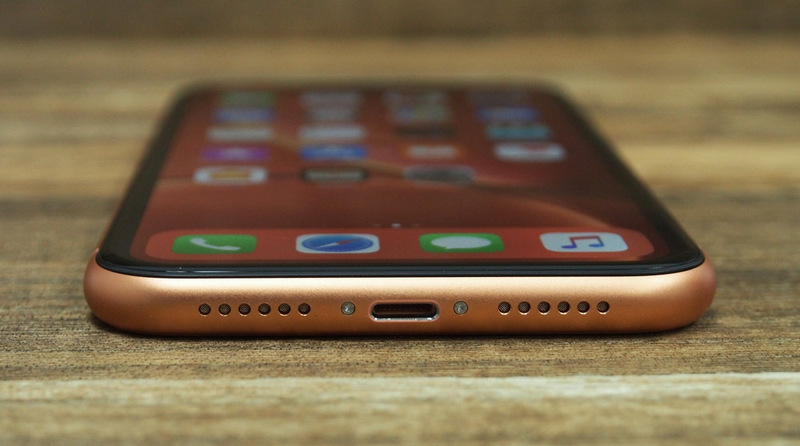 If this is your first X-style iPhone, say goodbye to TouchID and hello to FaceID. FaceID on the XR is exactly the same as FaceID on the XS and XS Max, and uses the same TrueDepth camera found in the notch. You’ll use FaceID to unlock your phone, for Apple Pay, and whenever you use Apple’s Animojis. FaceID this year is even faster and safer than last year and now unlocks the phone almost instantaneously and it still works just as fast in the dark too. Like the XS and XS Max, you can also add a second person to FaceID. You can do this by selecting the “Set Up an Alternative Appearance” option in the FaceID setup menu. For an in-depth explanation of exactly how FaceID and the TrueDepth camera system work, check out this page from last year’s iPhone X review.